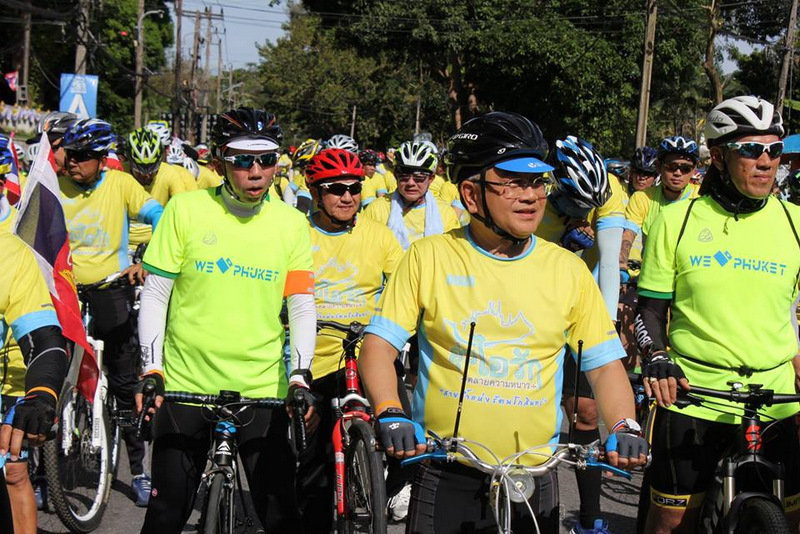 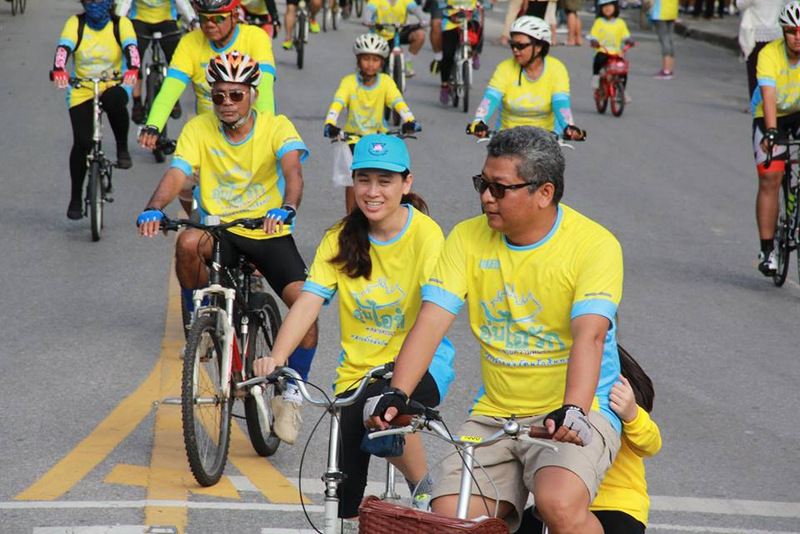 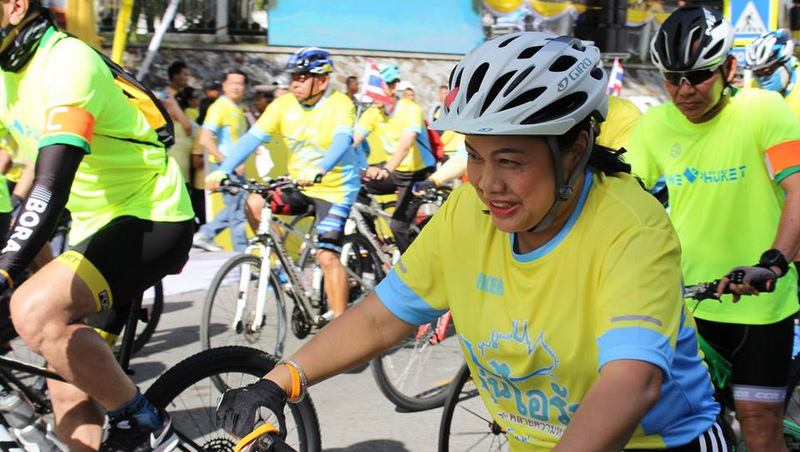 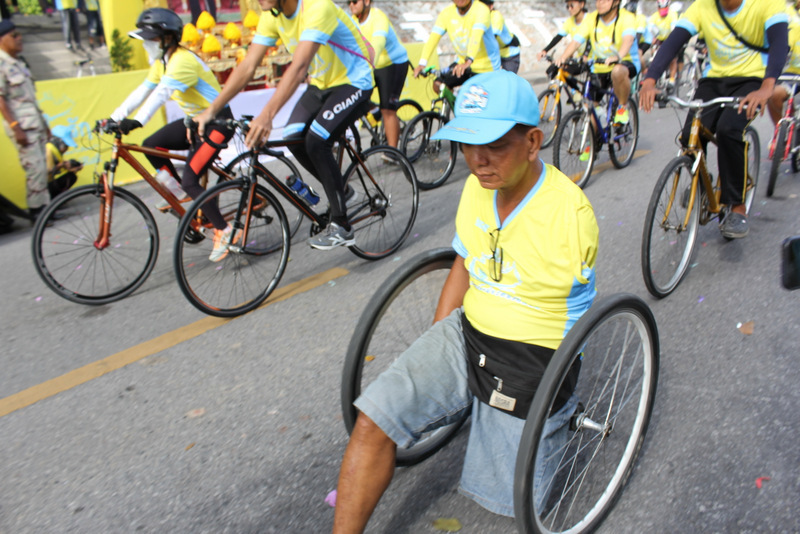 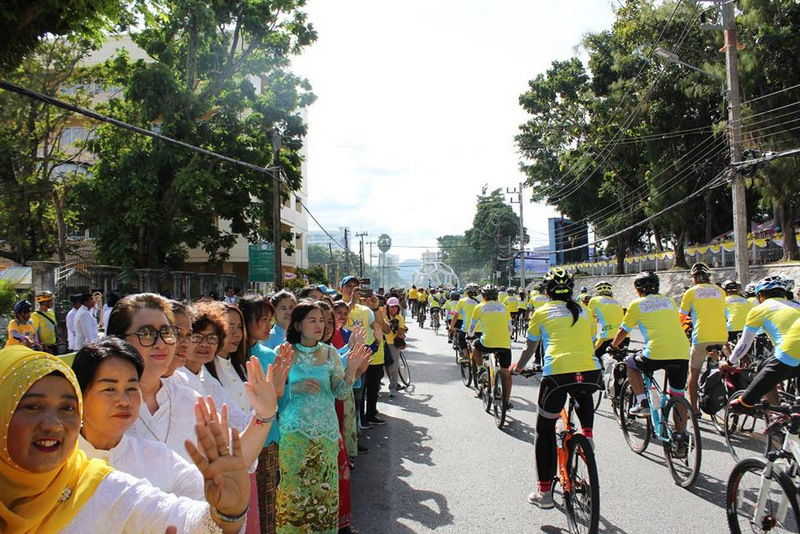 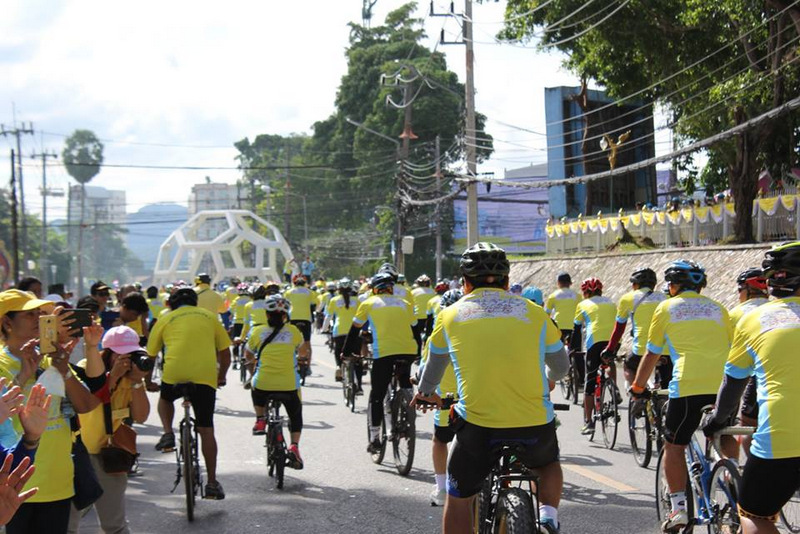 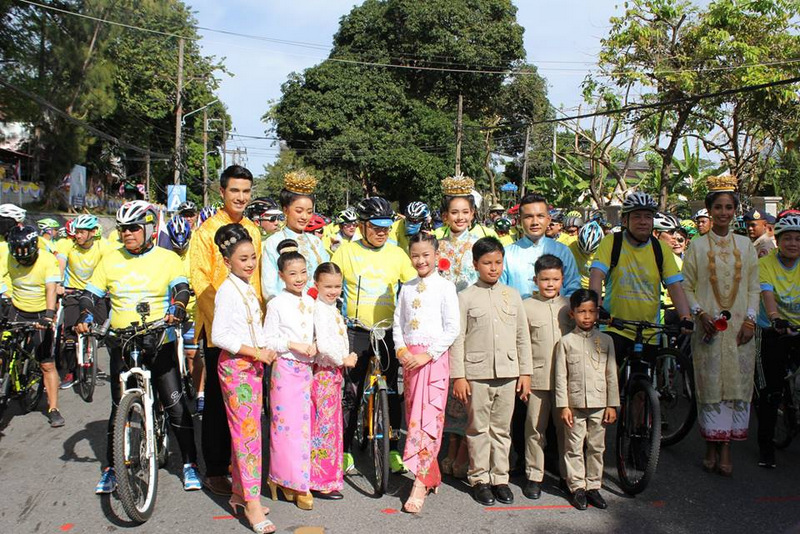 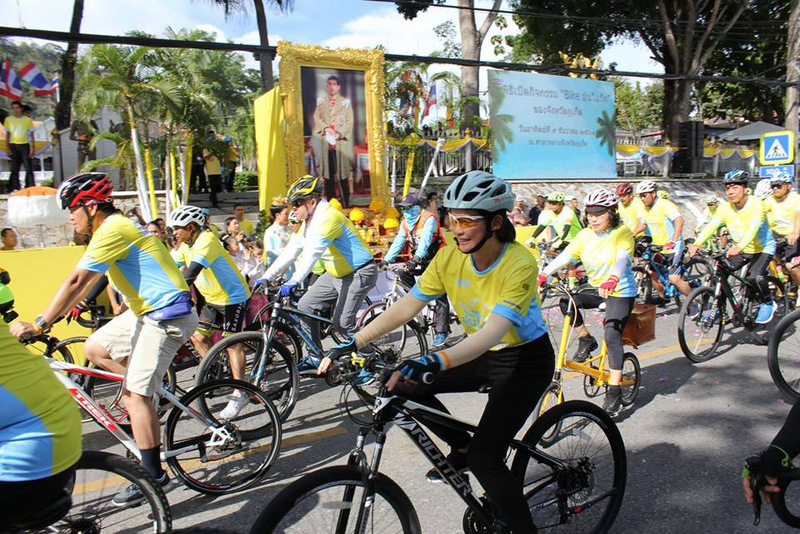 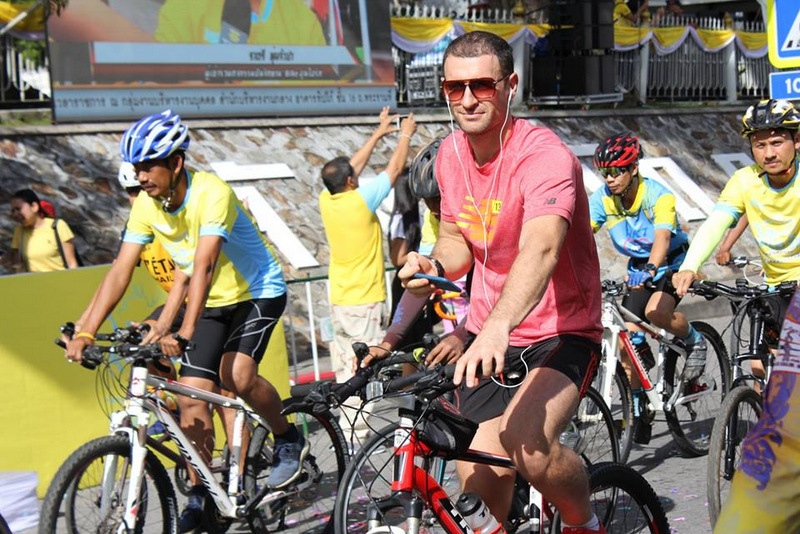 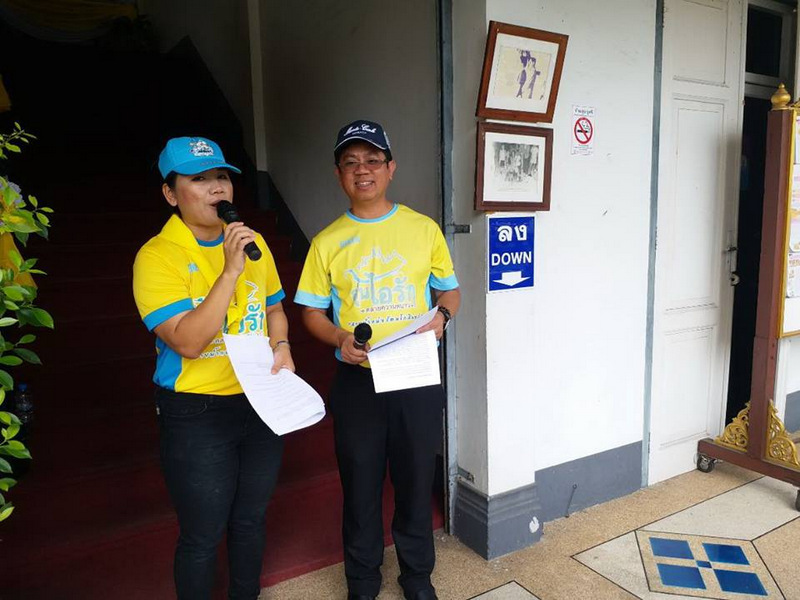 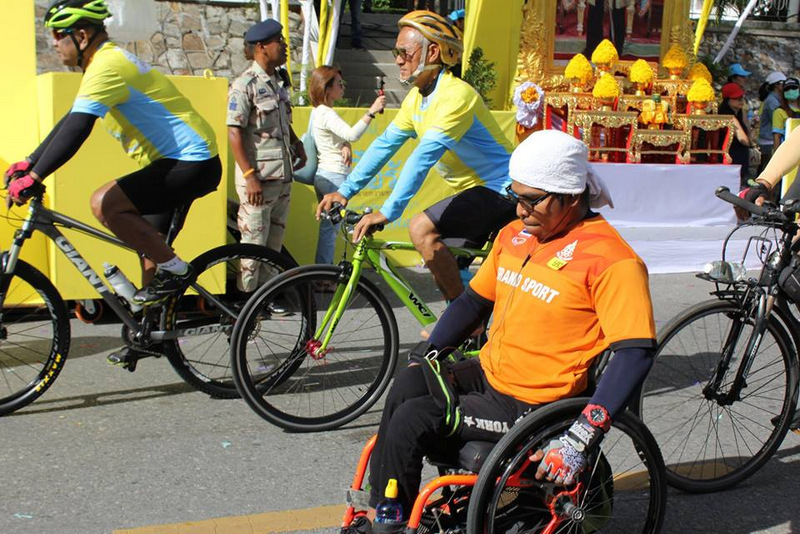 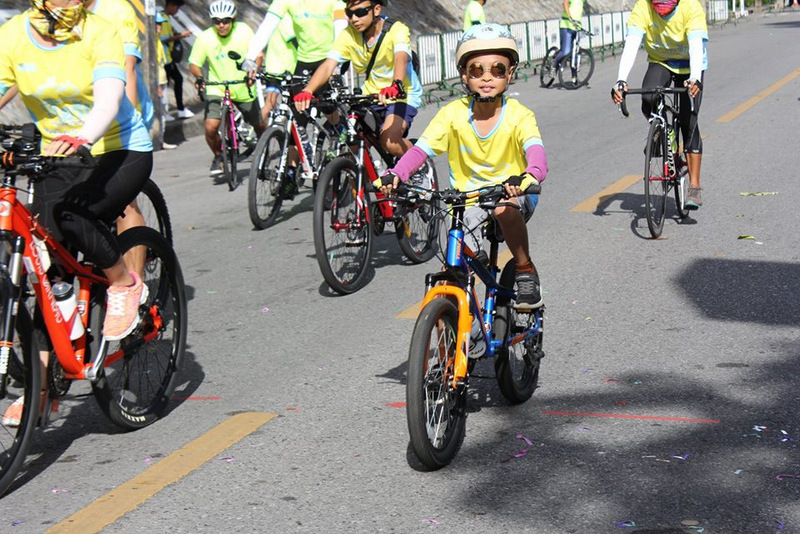 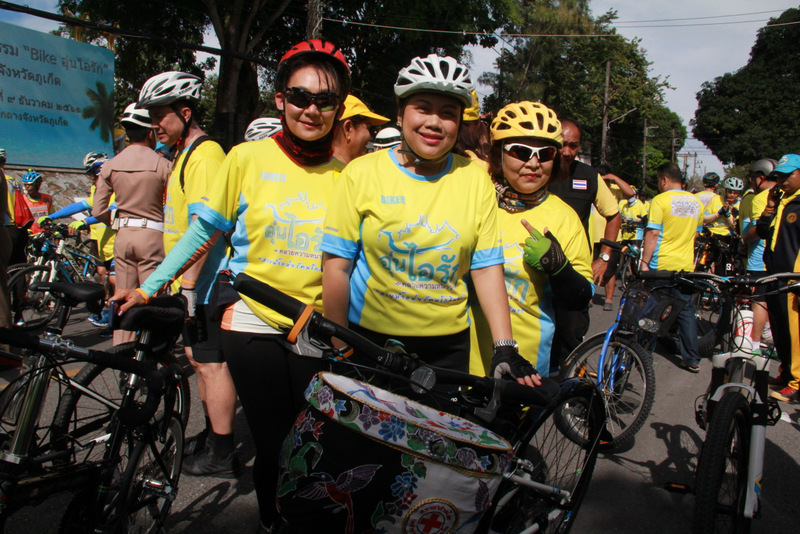 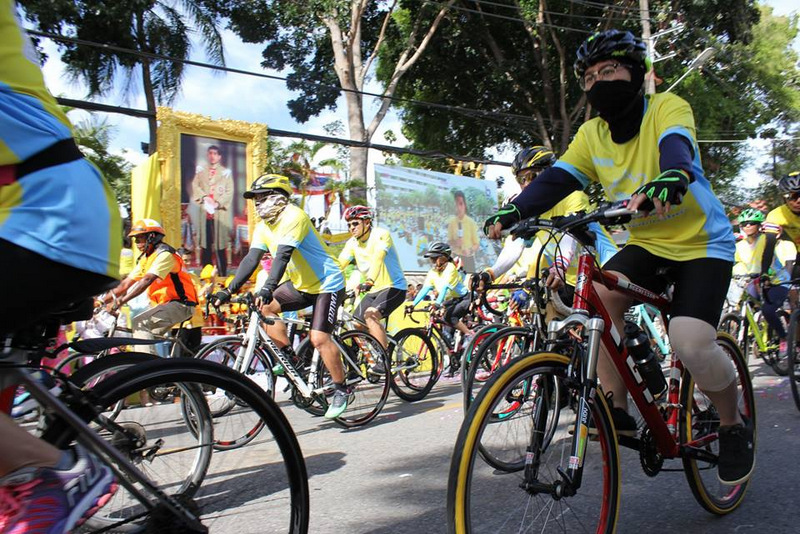 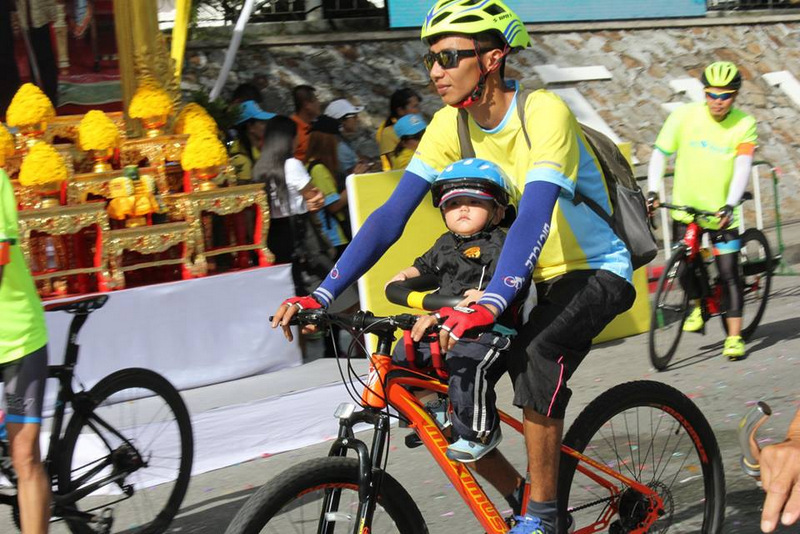 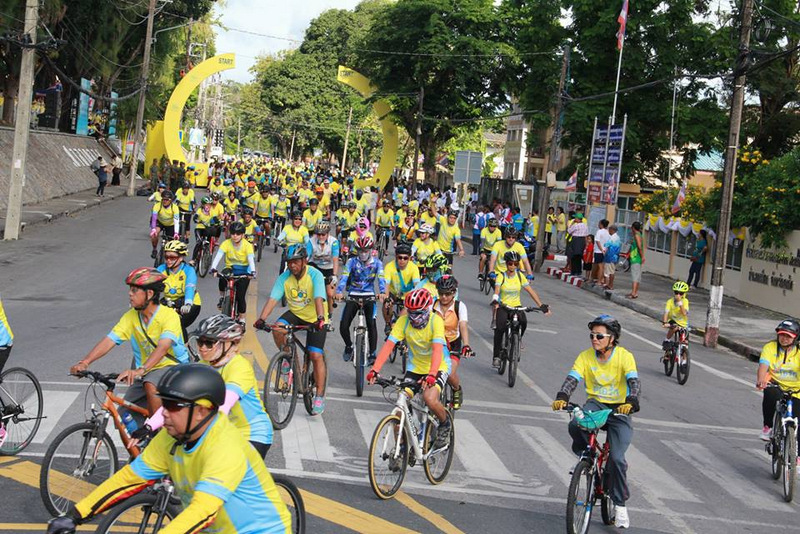 PHUKET: More than 3,000 cyclists in Phuket took part in the ‘Bike Un Ai Rak’ national cycling event yesterday (Dec 9), the Phuket office of the Public Relations Department has reported. 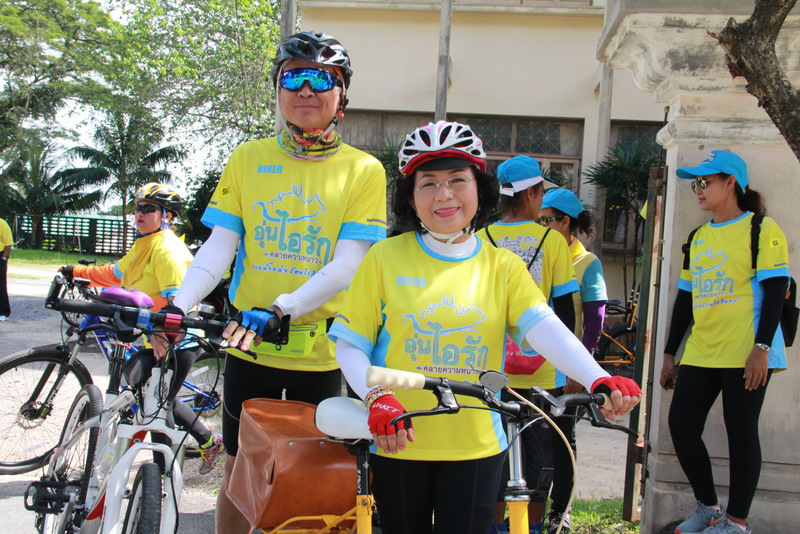 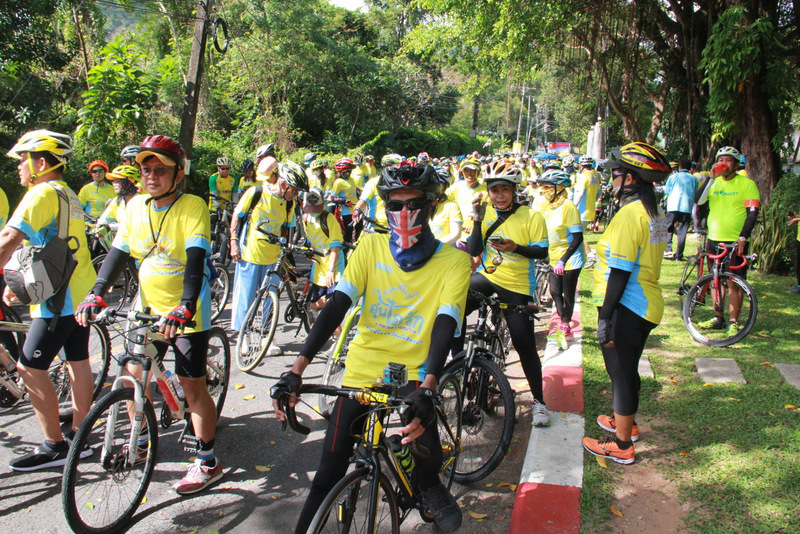 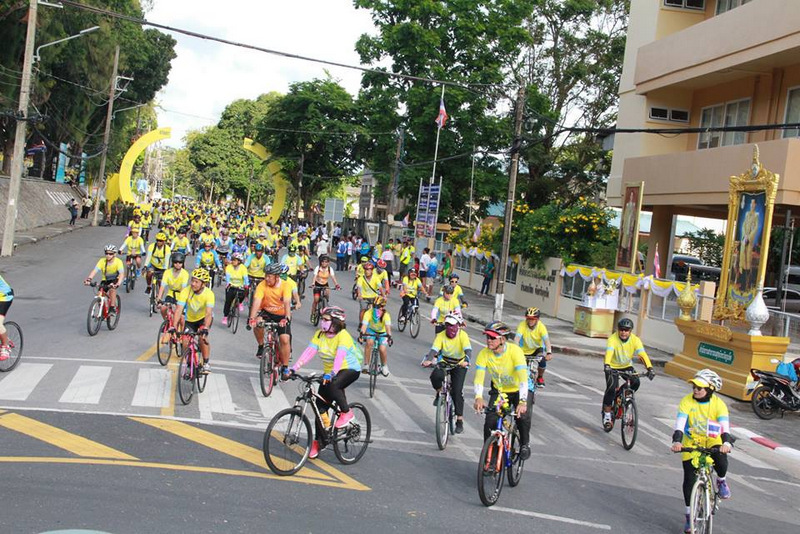 Although the number is less than the 5,362 people in Phuket who had registered to take part in the event (see story here), more riders could have easily joined without registering or taking part along only some parts of the route, officials noted. 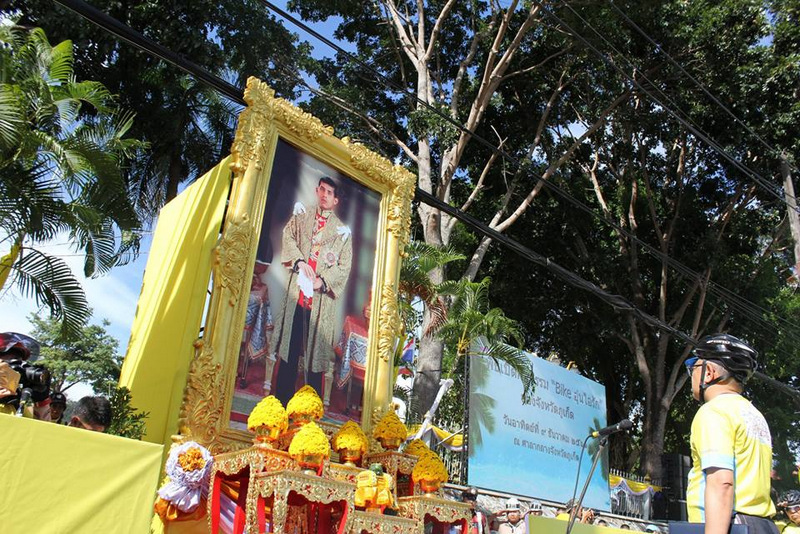 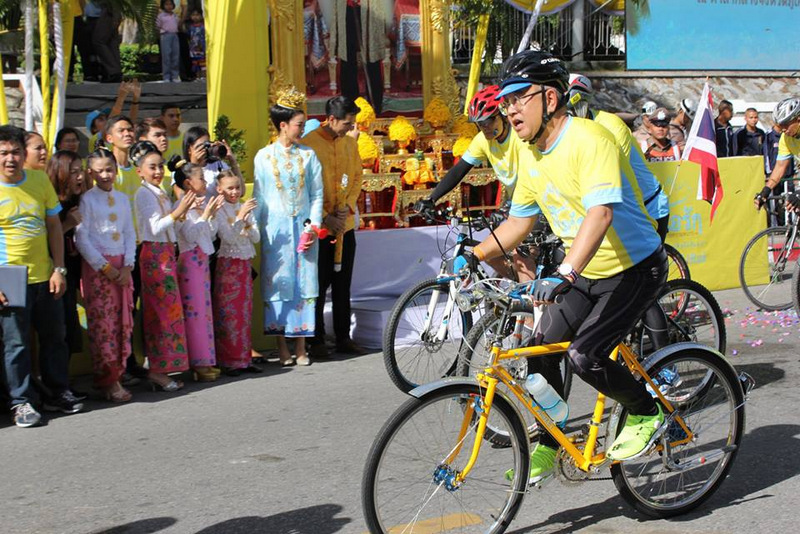 Phuket Governor Phakkaphong Tavipatana presided over the official opening of the event, which started on Narisorn Rd in Phuket Town. 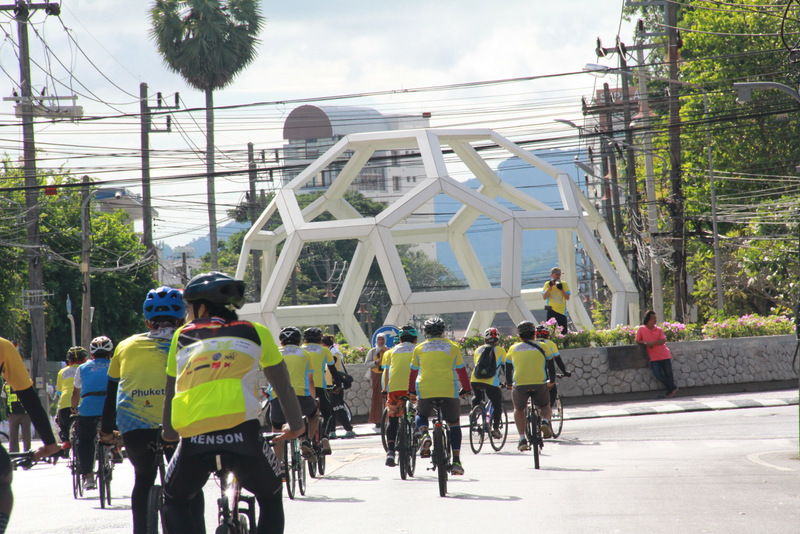 Cyclists then continued along the 27.122km route south along Chao Fa East Rd, turning right onto Luang Por Chuan Rd, past Wat Chalong, turning right onto Chao Fa West Rd, then right onto Wirat Hongyok Rd, continuing onto Bangkok Rd, turning right onto Thalang Rd and right again onto Phuket Rd, continuing to Saphan Hin and then turning around to finish at Phuket Provincial Hall. 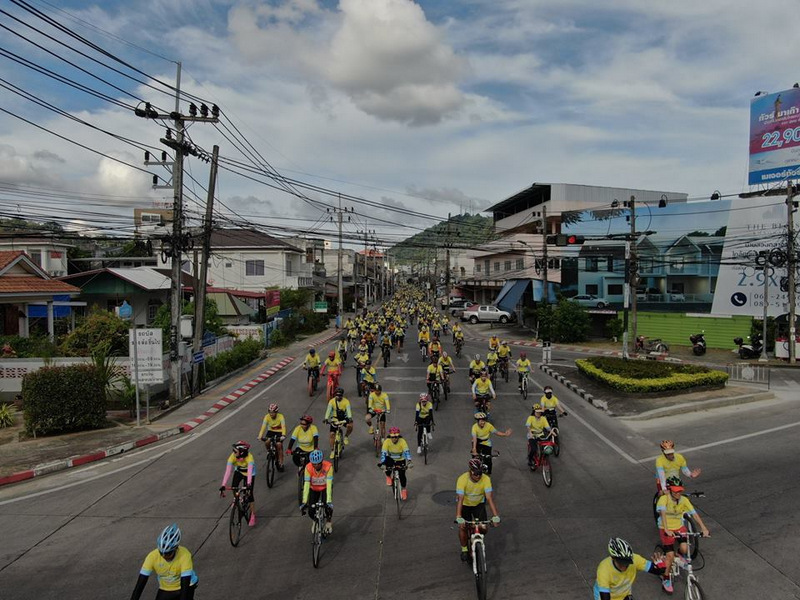 Some 200 race marshal volunteers provided assistance, and emergency medical teams from Vachira Phuket Hospital, Mission Hospital and rescue foundations were stationed along the route. 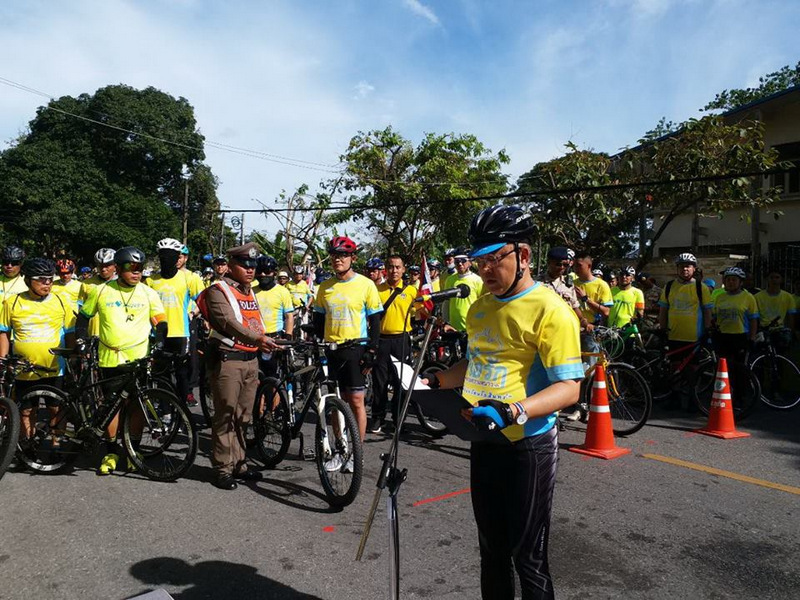 No health incidents were reported from the event. 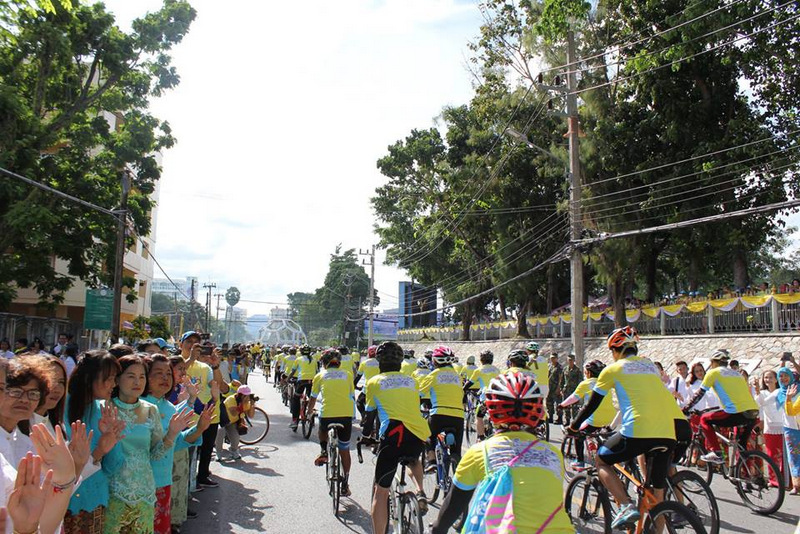 Tourism Police, Highway Police and officers from Phuket Provincial Police, Wichit Police and Chalong Police stations were also stationed along the route to provide assistance in keeping traffic at bay so riders could safe;ly pass along the route. 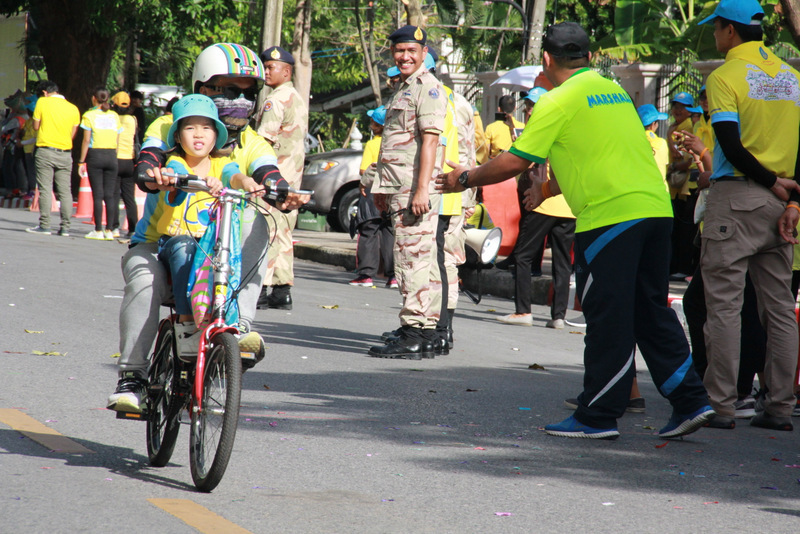 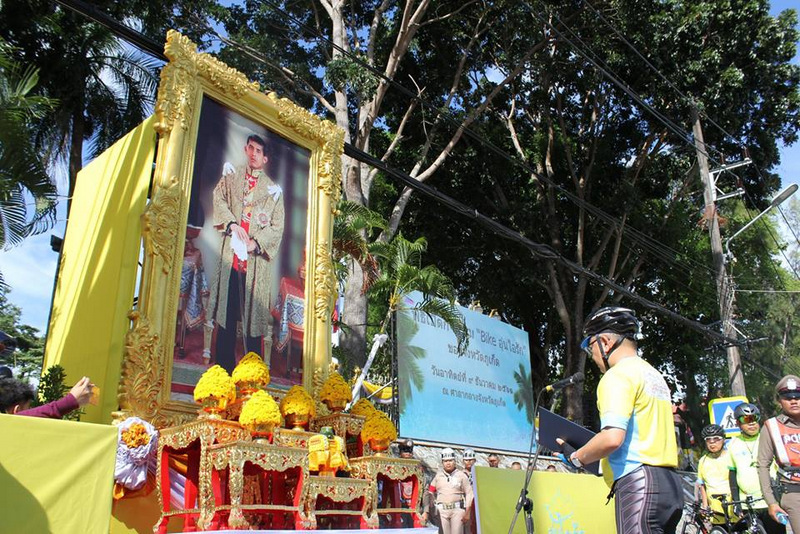 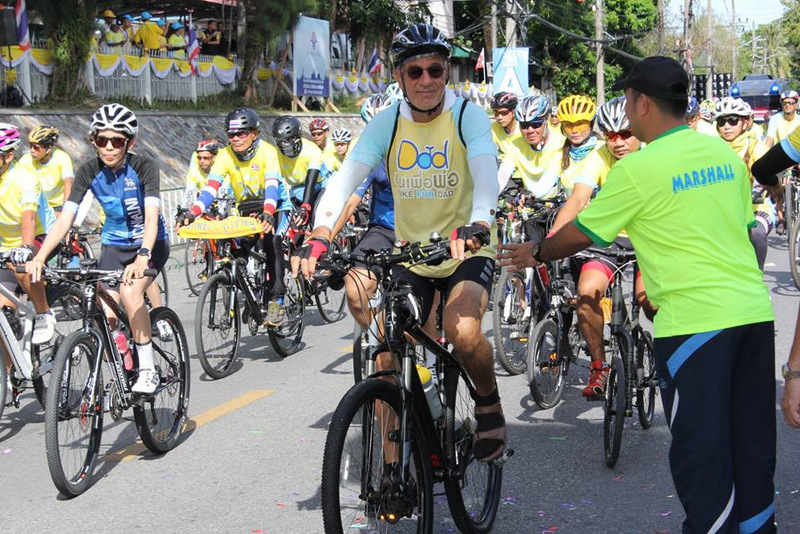 His Majesty The King Maha Vajiralongkorn Bodindradebayavarangkun presided over the opening of the Bike Un Ai Rak 2018 event in Bangkok before leading a 39km round trip ride from the Royal Plaza to the Lad Pho Park in Samut Prakan's Phra Pradaeng district late yesterday afternoon.